Everyone loves a bite of the Cherry, nobody likes a loss. 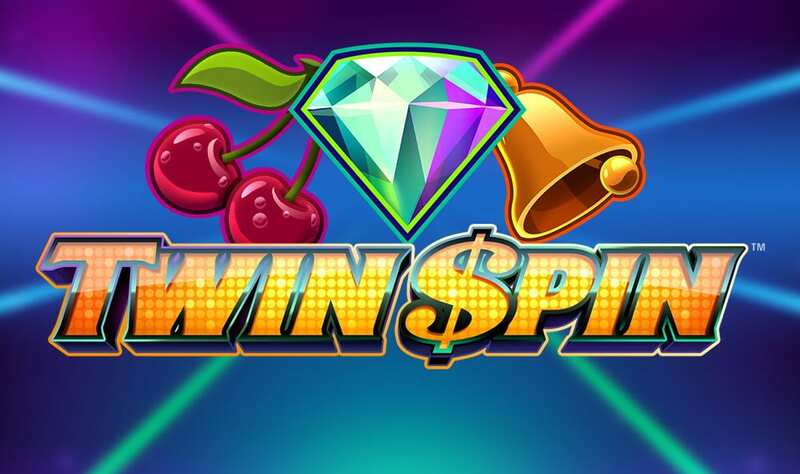 With over 243 ways to win on Twin Spin, you’ll only be tasting sweet, sweet cherry pie with this tasty online slots game. Progress through ten levels and Wilds to amass coins and some big rewards. If this is not enough fun and adventure for you, try playing these casino slots. 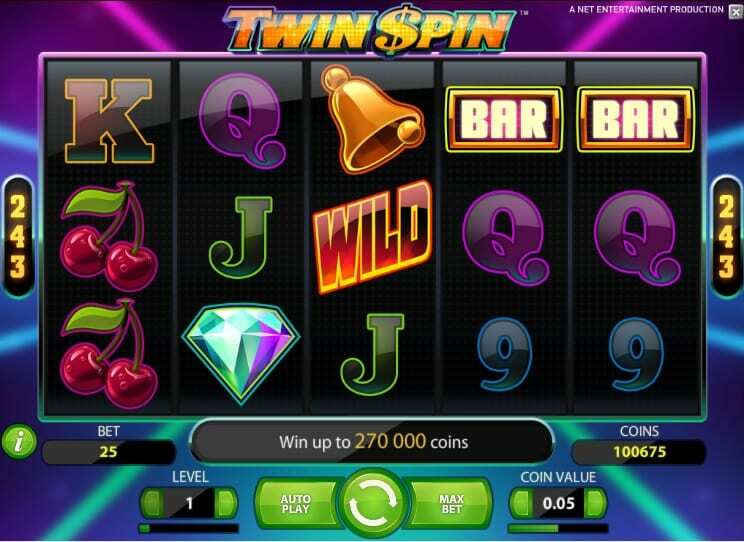 Twin Spin is the slots game that feels like you are on a game show, bright flashing lights, groovy music and jazzy colours. However, the feel does not distract with the key elements of this game, which are to allow you to concentrate on spinning the reels and pursuing those cash wins. This game makes a nice alternative to the popular Starburst game and players who enjoy this slot typically enjoy both. 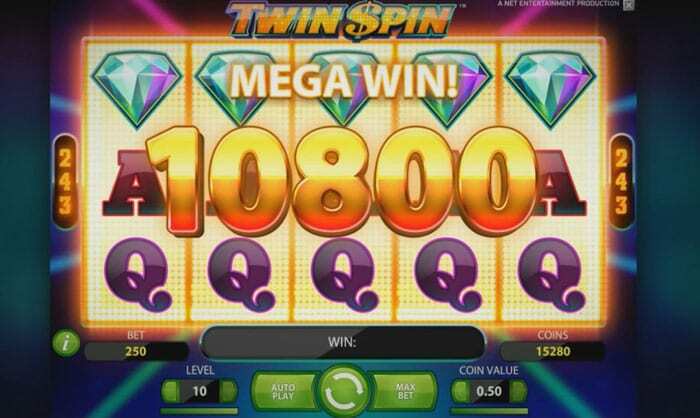 Twin Spins was developed by the team from NetEnt and you are immediately struck by the fantastic graphics and sound which really add to the gameplay and feel of the game. It is bright, loud and stimulating so great at keeping you engaged. There is a good mixture of features and yet the game retains an easy-going feel and is simple to slot games online. This is a slot across 5 reels with 10 paylines and it's very easy to play. The big feature is the twin reels which give you the ability to change your bet amount and the number of lines you can bet across. Bet amounts are from just 1 pence all the way up to an amazing £125 meaning this casino slot appeals to a wide range of budgets and players. The amount of playing lines being bet across and the wager amount are changed using the right and left arrows adjacent to the “LEVEL” and “COIN VALUE” options. You also have the option of an autoplay feature that will run the reels for you over a set number of spins. Whenever you want to spin just hit the large central circular button and let the fun begin. Is this a popular game? Read about our top-rated slots list, which includes this game as your guide before you play. The wild feature on Twin Spin is represented by the wild symbol and this can replace all other symbols in your winning combination. If you are able to land two wilds across you winning paylines this will have the effect of doubling your win, so be prepared for some pretty amazing prizes. 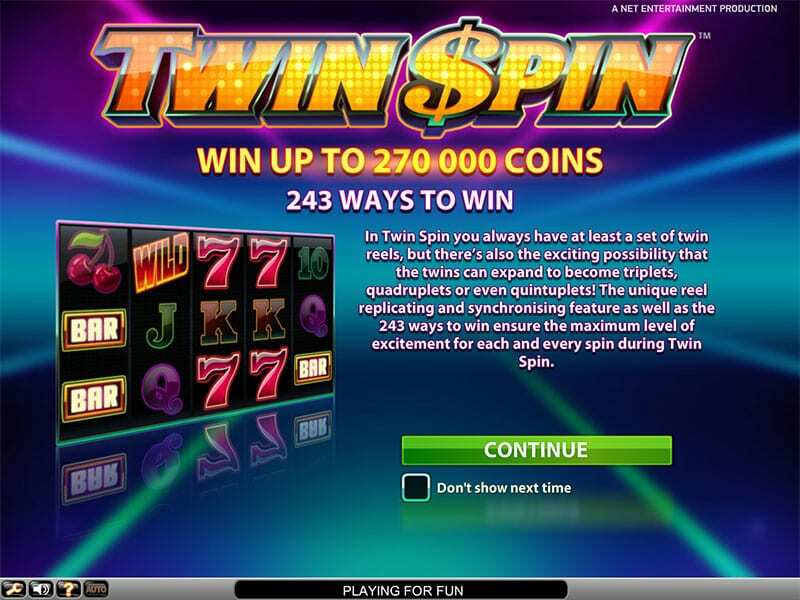 Twin Spin doesn’t have too many bonus or special features but what it does have is the unique Twin Reel feature. With each spin, you will start with reels that are identical which are linked together. When you spin them, these reels can expand across all five reels and turn them into twins. This unique bonus feature means that should you be lucky enough to get all five reels to become twin then you could land the massive jackpot of up to 270000 coins! We love the Twin Spins concept and the unique twin reel feature. This really makes the gun more fun and engaging and adds a different feel to the game compared to some other bonus features. The whole game show feel is also different and combined with the funky music it’s a great package that’s enjoyable and fun. You’ll love it too! If you loved Twin Spin you might also like our fabulous Spanish Eyes slot.